We've got some details on the upcoming rollout of a GOP lawmaker's carbon tax bill, including the first wave of organizations set to publicly support it. Driving the news: Republican Rep. Carlos Curbelo of Florida is set to introduce legislation taxing carbon emissions at an event Monday in Washington alongside groups representing environmental and right-leaning libertarian interests, according to multiple people familiar with the plan. But, the bill is unlikely to gain much support or pass any time soon given deep-seated opposition to carbon taxes by most congressional Republicans and influential right-leaning groups, notably Americans for Tax Reform. The details: Curbelo's event is set to be held at the National Press Club in downtown Washington, with the Niskanen Center, a libertarian think tank supporting a carbon tax, along with likely at least three environmental groups: The Nature Conservancy, Environmental Defense Fund and World Resources Institute. Comment from these groups were not immediately available. A request to Curbelo’s office wasn’t immediately returned. People close to the bill rollout said plans were still in the works and could change. E&E’s Zack Colman got the scoop earlier this week about the bill’s imminent introduction and its details. Axios has since learned that Curbelo is likely to have at least one, maybe a few more, Republican co-sponsors, but it wasn’t immediately clear which members it would be, according to multiple people following the developments. What’s next: The House is set to vote Thursday on a non-binding but symbolically important resolution stating that carbon taxes are detrimental to the economy. In a similar vote two years ago, all Republicans voted yes along with a few Democrats. 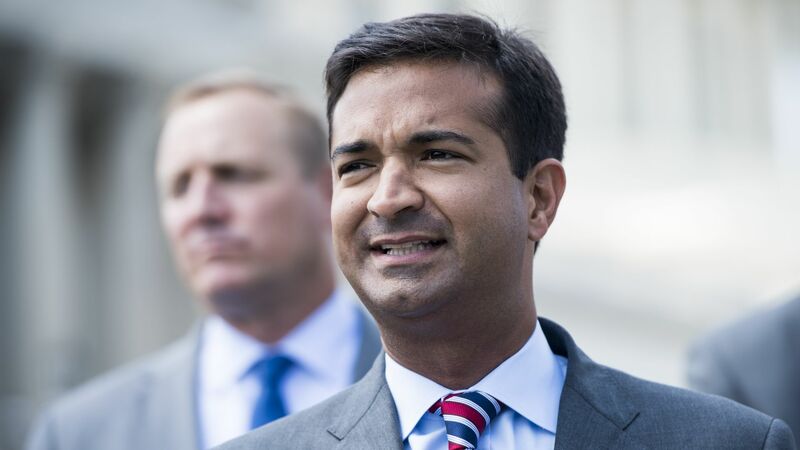 Between the lines: The timing has got some backers of Curbelo’s bill wondering if House Republican leaders are pushing a vote on the resolution now to undercut Curbelo’s pending bill. That’s not the case, according to spokespeople for House Majority Leader Kevin McCarthy and House Majority Whip Steve Scalise, who is sponsoring the resolution, and also a source close to Curbelo backing his bill. All said the timing was purely coincidental. What we’re watching: Whether Thursday’s vote will have unanimous support from Republicans like it did in 2016. Curbelo already indicated in a tweet he’s likely to vote no, and we’re watching whether other more moderate GOP members follow suit.